Have you ever had your crop completely destroyed by hail, drowned out by rain, wilted by drought, or flattened by high winds? Weather is completely unpredictable and can be very stressful for farmers who plant their crop out in a field at Mother Nature’s mercy. That is why crop insurance is so important; it protects your bottom line and puts your mind at ease. It is that time of year again; time to determine your crop insurance needs before the March 15th deadline. It’s important to know and understand how history, trends and other factors can influence the planning process. We would welcome the opportunity to meet with you to discuss how many bushels you are willing to invest, to insure your entire crop. We review every policy and base the coverage on your farm operation and specific needs. Don’t forget the deadline is March 15th, so give us a call today at (320) 523-2252. We can get you the protection needed and give you peace of mind in 2014. 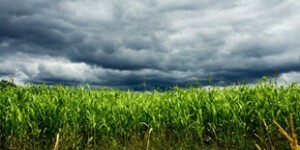 How do you determine your crop insurance needs? Are you prepared for what Mother Nature has in store for 2014?